My dearest friend, who I can't wait to see this weekend, gave me this awesome recipe!! I brought this over to a friend's party and it was gone within minutes. If you like brie, you will love this appetizer. 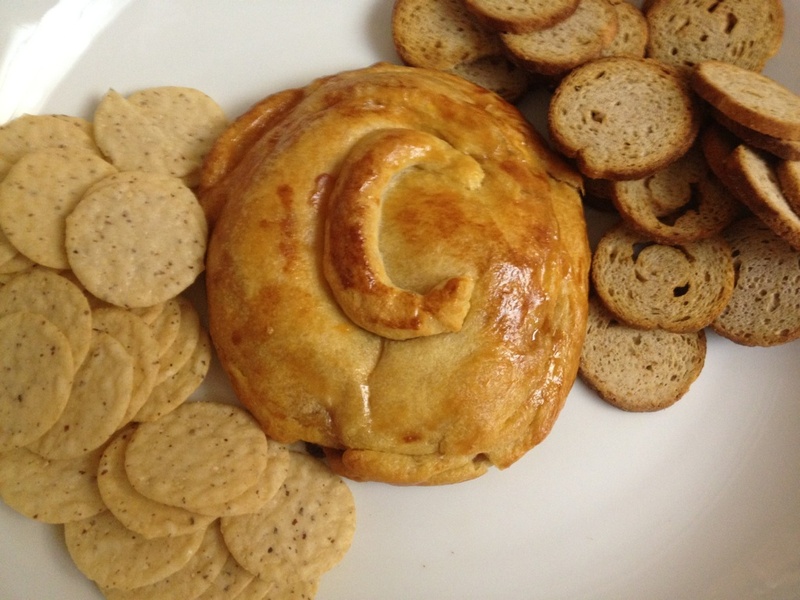 It is so easy to make and it took me less than 10 minutes to prepare. I need another party to go to so I can make this again although I could probably eat this everyday if it was not so bad for me!!! 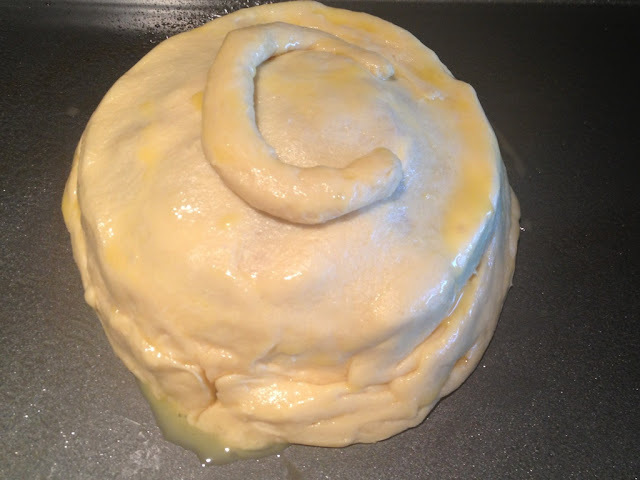 Separate your dough into 2 even sections. Each section should be 4 triangles. 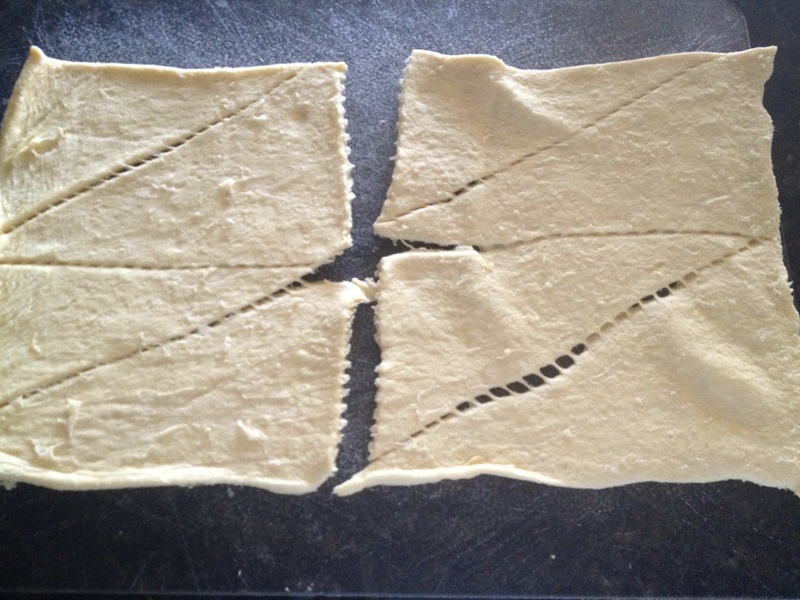 Press the perforated parts together to make one large piece of dough. 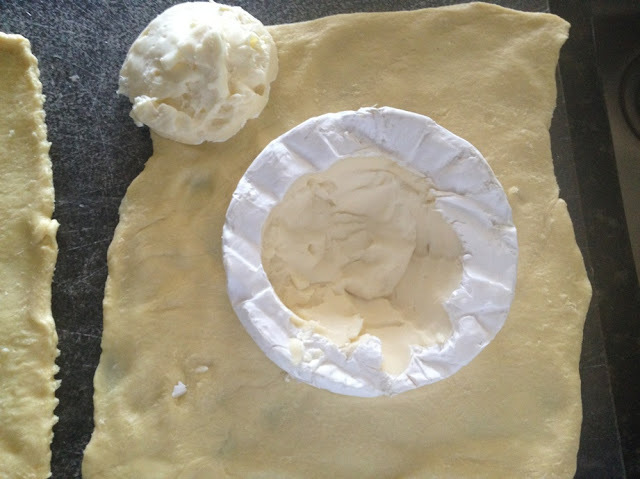 Place your brie in the center of one of the halves of dough. 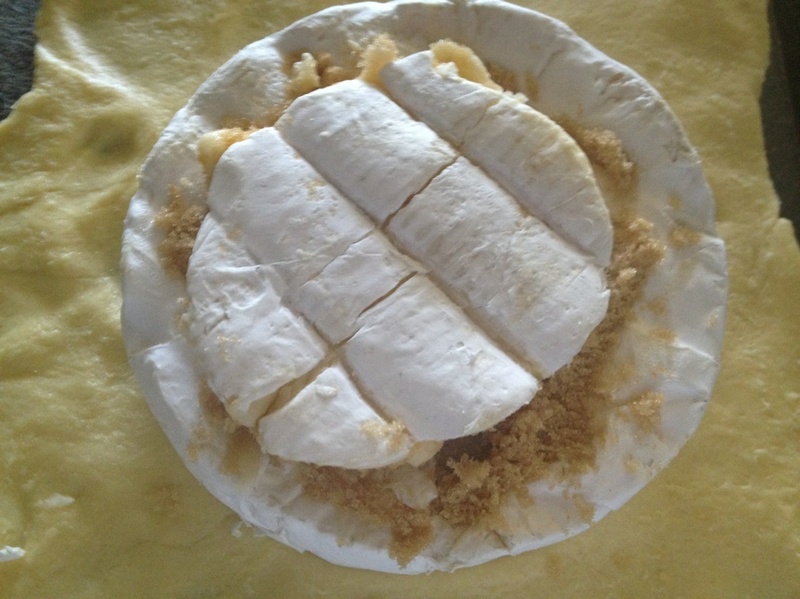 Scoop a hole in the center of the brie, making sure to leave the rind on the bottom. Fill the hole with brown sugar and put the chunk back into the brie. It may not fit perfectly but try to fit it as best as you can. 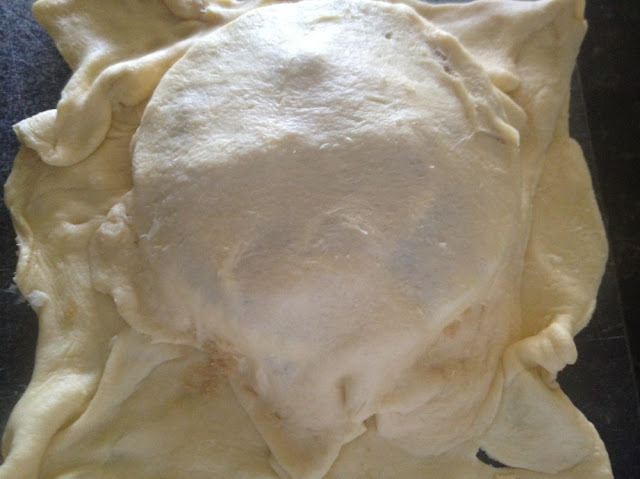 Place other half of dough on top of the brie and make a crease with the bottom dough. 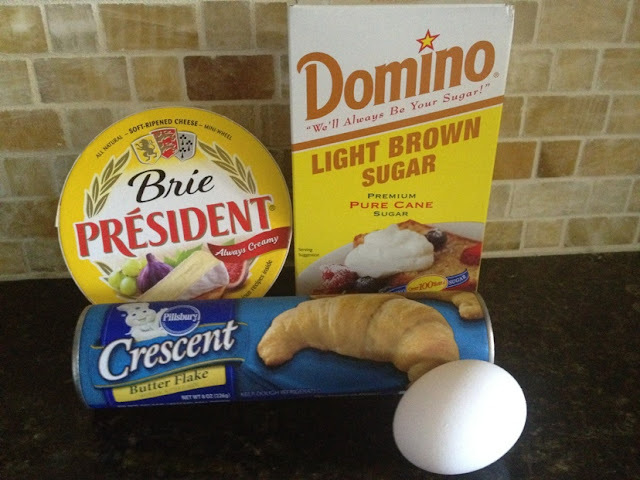 At this point, remove any excess dough. You can use the excess dough to make a design for the top of the brie. I decorated mine with a "C" for my good friend's birthday! Brush with a beaten egg to get that shiny look! Bake for 20-30 minutes until dough is golden brown. Serve with crackers (melba toasts and almond thins are my favorite).